Last week, Elizabeth Jensen, National Public Radio’s ombudsman/public editor, dropped by HCN’s hometown of Paonia, Colorado, to talk with local media about the challenges of producing trustworthy journalism in these polarized times. Jensen, who has worked for The New York Times and The Wall Street Journal, said NPR has struggled with how to call out misinformation in a way that doesn’t immediately alienate large parts of the citizenry. 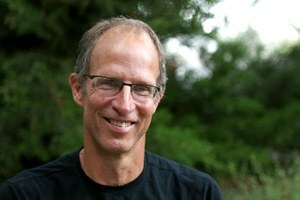 Rather than using the word “lies” when they encounter false statements, for example, reporters try to explain why scientists and other experts think such statements are untrue. I’d be lying myself if I didn’t tell you that Zinke’s comments are not only wrong but destructive. Forest ecologists inside Zinke’s own agency know that a warming climate and a century of active fire suppression and livestock grazing have created the conditions for today’s massive wildfires; even large-scale logging won’t change this. As for denouncing citizen organizations that work within the political system to ensure wise management of public resources as “environmental terrorists,” Zinke is simply trying to incite fear and hate, rather than solve a complex problem. His divide-and-conquer strategy was on display at a recent stop in Steamboat Springs, Colorado, as Editorial Fellow Carl Segerstrom reports on page 5, though it was heartening to see citizens there exercising their constitutional right to disagree. Because so much news these days comes in the form of truncated tweets or shouting matches or a lovefest disguised as an interview, Jensen said that she is pushing NPR to go back to the kind of deeply reported stories from the field that provide both context and room for many voices. That’s exactly what Assistant Editor Paige Blankenbuehler has done in this issue’s cover story. 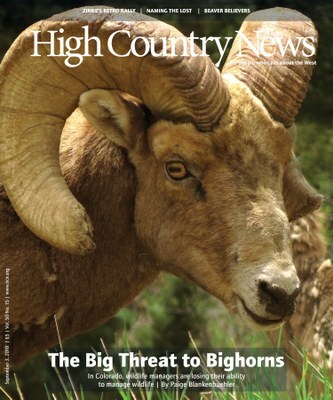 It’s about the decline of bighorn sheep in southern Colorado and the remarkable power the state’s agricultural community has to set the terms of wildlife management. Reporting a story like this takes time. Blankenbuehler spent months talking to ranchers, biologists, wildlife advocates and agency officials. Too bad Zinke hasn’t made a similar effort to embrace the complexities — or the ethical responsibilities — of his own job. Instead, he confines himself to conferring with allies, telling Breitbart, “It’s good to get out of Washington and actually talk to the front line.” If only he had truly done that.